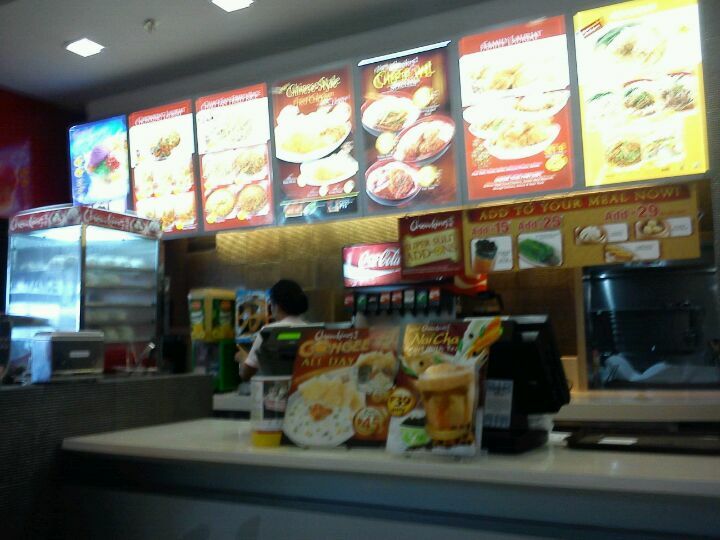 Due to lack of patience and the unending protest of my tummy pets, we headed out to Grandmall to have breakfast in Chowking. Thank God that the establishment is only one ride away. 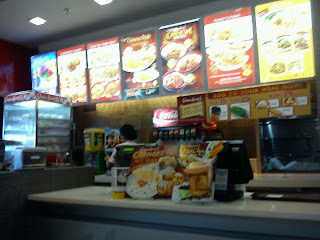 Pardon the shaky photo, that's how hungry I was! We had the Lauriat before and with the little money we brought, we ended up getting the Combo Kings Meal. Wanted a hot soup and decided to get the Combo King B which included a hot bowl of Wanton Mami paired with tasty Asado Siopao and of course, a 12oz iced tea. Sold at Php87. Love the soup. The siomai is really good. The soup is better if added with black pepper. I am a black pepper freak! Anything with it tastes better. My companion chose Combo Kings A which included the Pork Chao Fan meal with 3 pirces of chunky Pork Siomai and ice cold 12oz iced tea. Php87 for everything! The rice was good. I prefer the beef variant than this. The siomai is not the same as what you expect from the likes of Siomai sa Tisa however, it wasn't that bad. I loved the spicy, oily sauce. The siomai tasted good either with soup or stand alone. Not bad for a lunch meal. Spent Php174 for the whole meal. Was fulfilling on a lunch hour rush.